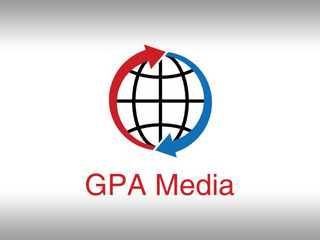 GPA Associate Media Services Ltd is looking for new individuals to join our team and work from their home. It is a full time occupation, working only from home for a minimum of 44 hours per week, 16 of which have to be on the weekends. Each associate is entitled to 22 vacation days annually. Manage profiles on a social media platform by handling and coordinating their chat and correspondence. Have an excellent knowledge of the English language and to be able to use it perfectly in written form. Be pleasant, communicative, and be able to multitask and handle multiple communications simultaneously. Type fast in order to be able to handle multiple conversations. Have a fast internet home connection, without interruptions. Have a laptop or desktop with a minimum of 8GB RAM memory and fully updated Mac or Windows software. Α long time freelance and mutually beneficial collaboration with our firm. Earnings that can reach up to 1.500€ per month if you are willing to reach that number. An on-time payment without delay as it will be agreed. Training to show you the platform and help you increase your productivity and earnings. Pleasant work environment since you will be working from your home and our communication will be held via email and Skype. If you believe you have what it takes to join our team, and you are willing to work to succeed, then send us a copy of your CV to our email cv@gpa.media and we will communicate with you for more information and to arrange an interview. We are a Cyprus based company operating in communications and social networking. In the last years we have created a strong network of partners who specialize in managing active accounts in social media websites, and we are looking for new partners with will to work, to expand our network even more.